Born and raised in Bloomsburg, PA, Pastor Mira received her Bachelor of Arts in Behavioral Sciences with minors in Education and Religion. She then went to Princeton Seminary for a Master of Divinity and Masters in Youth Ministry. She has served as associate pastor at the former Allison UMC in Carlisle, as director of religious life and community services at Dickinson College, and then during the merger at the Allison and First Churches. Pastor Mira has served as the associate pastor at CUMC since its start in July 2013. She focuses on the SERVE and CONNECT pillars of our church, and works with staff of the GROW Youth, Children and Daycare ministries. She particularly enjoys helping CUMC serve in Carlisle through our local partnerships and beyond on mission trips. Her home is filled with laughter and energy with Grace and Kaya. 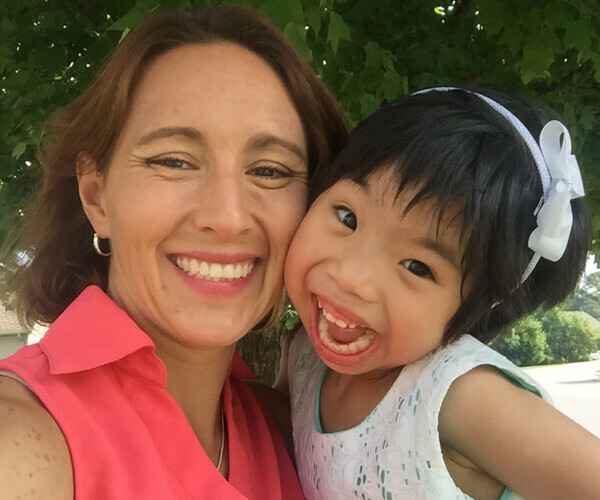 Grace was adopted from China and attends Little Lights Learning Center. Kaya is a sassy rescue mutt. Pastor Mira enjoys Starbucks and Leo's almond joy ice cream; and enjoys working out because of those addictions. Each summer she volunteers at a camp for kids with spina bifida while Grace and Kaya enjoy vacation with family.